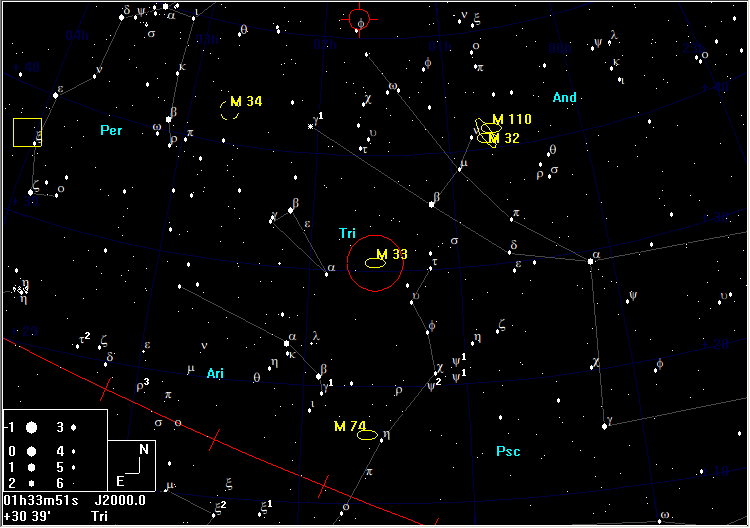 M33 is located a little over 4° from α Trianguli in the direction of β Andromedae. 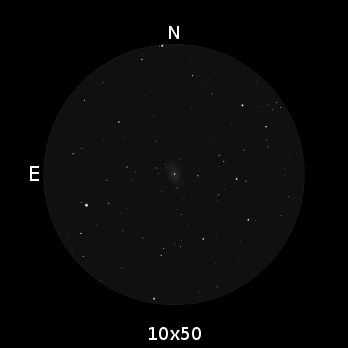 M33, which has a high integrated magnitude (and can be visible to the naked eye under ideal conditions) is a large object with a low surface brightness. 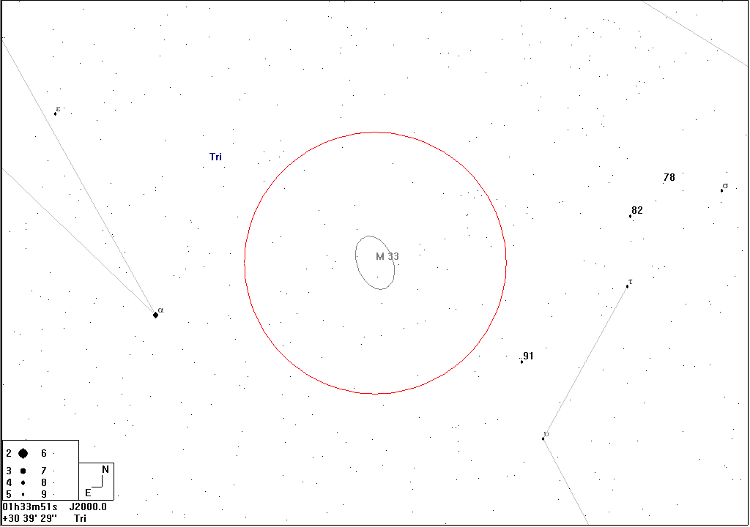 It therefore requires a dark sky and low magnification, making it easier to find and see in 10×50 binoculars than in small telescopes.